Stamping Tink: Flying Monkey Sassy from Off to Find a Wizard Release! Flying Monkey Sassy from Off to Find a Wizard Release! I'm so excited to welcome you all and wish all my other stamping sisters much love, happiness and good luck! You can get all the details on the opportunities to win some of these fabulous images and celebrate this fabulous release and different versions of this classic movie and book! We have a tic-tac-toe board this time and I chose flying monkey, bling, and ruby slippers. The flying monkeys used to scare me so when I was little! I always pulled the covers up over my head and clutched my sister's arm when they came only But somehow, this sassy monkey doesn't make me squirm in quite the same way! I think her sass totally rocks! When I saw her, I envisioned her trying on those ruby slippers before she left to return them to the Wicked Witch of the West! So, her being the fashionista that she is (I just love her coat and hat! ), I can imagine her concern in how these slippers go along with the rest of her. She's colored with copics and I used some different circles and oval Nestabilities to frame her and the computer generated sentiment. Her buttons, braid on her hat, wings, and shoes are done with Stickles and are mounted on the shoe with foam pop ups. Gosh, she's so pretty! Who would think she was really some pesty, little monkey? I loved working up this shoe and it's a wonderful template from Ellen Hutson you can find here. The paper I used was from American Craft and it was very heavy and hard to bend around the back for the heel. Gotta give a shout out to Sara and Mary for their suggestions for adhesives to hold it together! 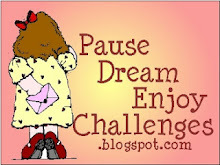 Now ease on down to road to the outstandingly talented Alaine's blog and see her fabulous project. I just know you won't be disappointed! This is just amazing Susan - fabulous ruby slipper. Fantastic monkey and Ruby Slipper!!! LOVE it!!! Susan, these ruby slippers are amazing. Wow. and the whole thing is fabulous. FABULOUS project!!! Love the ruby shoes and the sentiment with the monkey is great! WOW, that shoe is amazing!!! Love your idea of how she would like to try on the ruby slippers before bringing to the wicked witch! LOL! Great project! The red glitter Dorothy shoe is wonderful with your image. Creative & cannot go wrong with chocolate. Wow Wow Wow Susan this is brilliant how different can I please have a pair of shoes like that lol. Honestly - my jaw dropped when I saw this! It is amazing!!!! Great job! Love your card. Ruby slipper is great...thank you for sharing!!! Wow Susan, what a fabulous project - that ruby slipper is amazing! 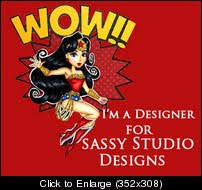 The sassy flying monkey is just perfect and what a cute funny sentiment...perfect! Good to know I wasn't the only one those monkeys made uneasy as a kid. This one, however, is definitely not scary. Awesome job on the shoe. Great colors on your image. You did a really nice job. The shoe........WOW. Very nice. A lot of work. I liked the sentiment also. Susan you rocked this. the slipper is awesome with that fabulous sentiment and gorgeous image. Your slipper is outstanding. This is super gorgeous. Everything is so perfect. 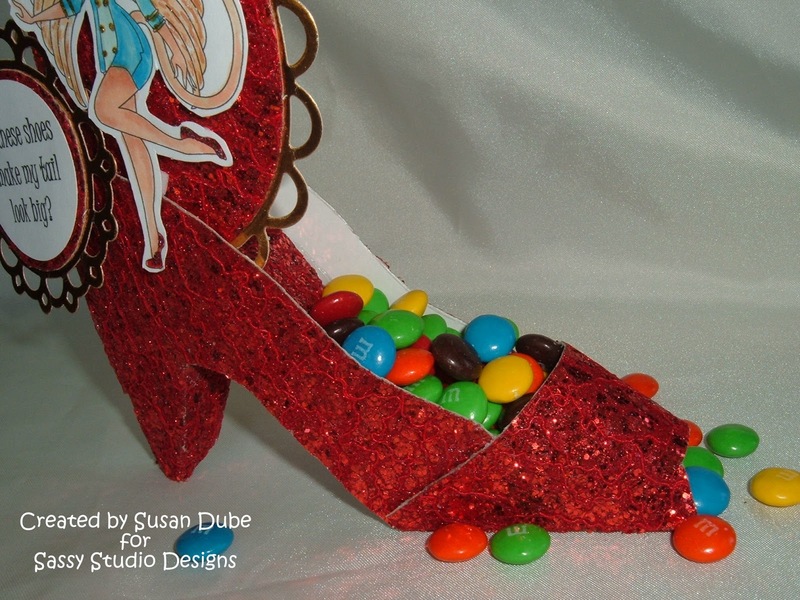 Susan, I love the glittery shoe, the sentiment, the coloring, everything. So creative. And now I got to gt me some M&M's! So glad to be a bro to all the Sassy sisters like you. 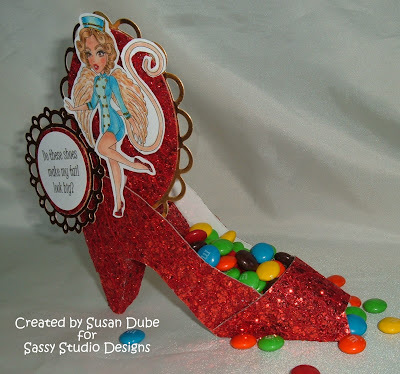 Love the ruby slipper and the candy, such a great project. Beautifully colored and the sentiment is so fun, tool. STUNNING!!!!!!!!!!!!!!!! I love the glittery shoe and your sentiment is AWESOME!!!! LOVE LOVE LOVE this, Susan!!! Susan, I'm just in awe of your creation! So beautiful! Love that sparkly ruby slipper and that sentiment makes me chuckle every time I read it. Wonderful! Wow Susan, what a stunning project!! I just love the glittery shoe, how fun!! Susan, my sassy sister of bling! Totally rockin the rubies! Brilliant! Your shoe is fantastic!!! Love the ruby red sparkle and your sentiment is so cute. Absolutely Stunning creation Susan!! Your coloring and your shoe are gorgeous!! Spectacular project! 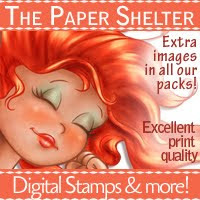 The ruby slipper is too cute, pretty dies, and lovely coloring! 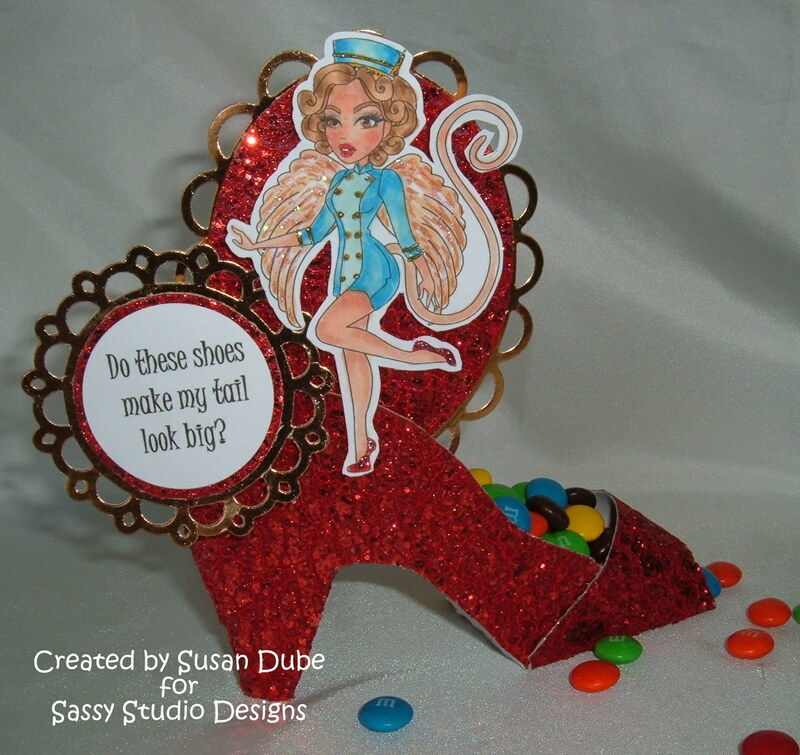 Your Ruby Slipper project is amazing! I love the red and the shine and how you made a shoe! I mean what better way to create a Wizard of Oz project! 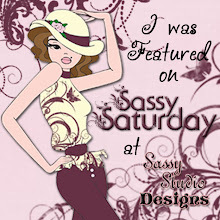 Simply fabulous Sassy Off to Find the Wizard Project! I don't even know what to say Susan, this is AMAZING! I love the Ruby slipper and the sentiment cracked me up! LOVE IT!